Ecwid entrepreneurs hail from all walks of life and all corners of the world. 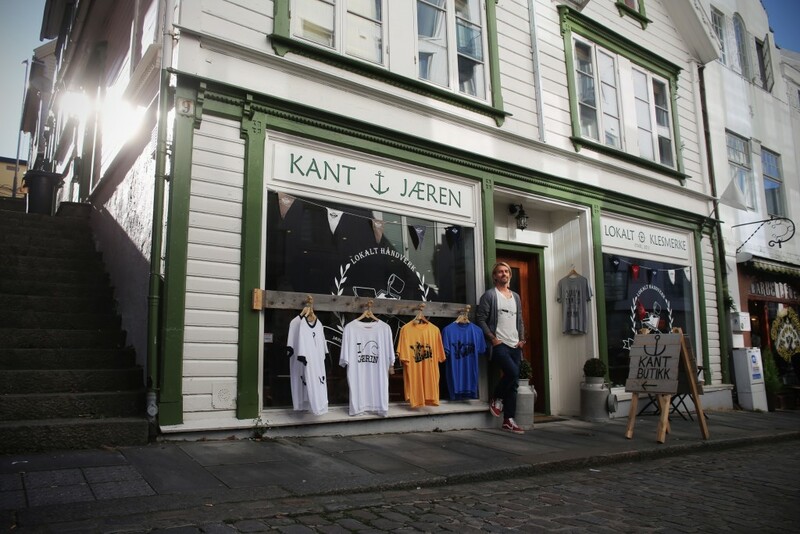 This month we sat down with Frode Goa, the owner, operator, and artistic designer at Norwegian clothing retailer Kant, to learn about his journey. Goa’s story takes us to Stavanger, Norway, in an area called Jæren on the west coast. The region is rich with history, wildlife, and beaches that stretch along 70 miles of flatlands; it teems with beautiful terrain that is unusual for this mountainous region of the world. Goa, a Jæren native, has always been drawn to landscapes and architecture in his photography and artwork. Jæren serves as his inspiration for Kant, the Norwegian word for edge. It’s the same word a local would use to describe the area’s distinct coastline landscape. Kant was founded in the summer of 2012, mostly by accident. 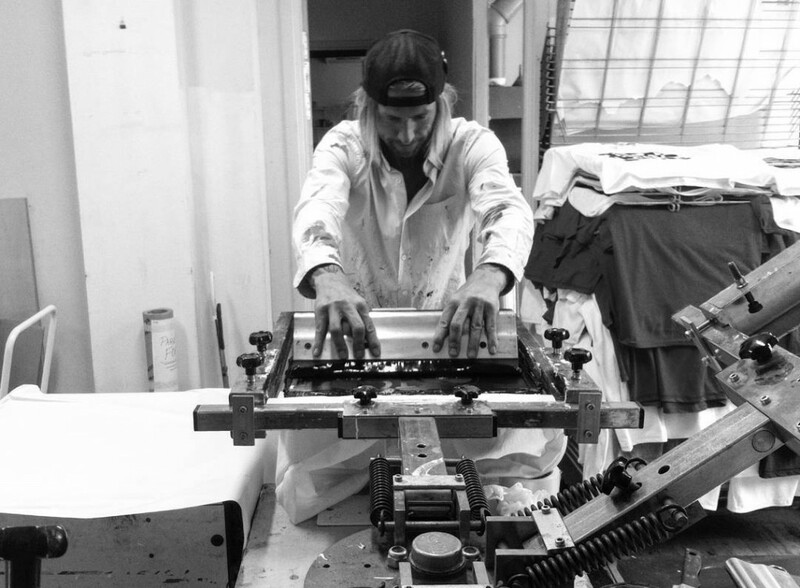 Goa was working as a freelance artist and had recently taken up silkscreening as a hobby. After printing one of his designs on a batch of t-shirts, they sold out almost immediately to his friends and family. He continued to experiment with the medium, casually selling his designs to friends and acquaintances. A lifelong lover of extreme sports, Goa has an active background in surfing, skating, and snowboarding. During a regular afternoon surfing session, Goa was approached by a fellow surfer who worked with the Lydbølger Festival (“Lydbølger” is Norwegian for sound waves) who had heard about his designs and thought they were really cool—he thought they’d be a great fit for the festival’s surf- and music-centered aesthetic. He wanted me to host a booth at Lydbølger, and he wasn’t taking no for an answer! said Frode. At the time, Kant did not exist. There was no brand, no inventory, no marketing, and no formal designs offered to customers. But with the festival just three weeks away, this surfer insisted that there was a marketplace to be found there. Goa relented and made a $400 investment in a festival booth. He spent the next weeks creating a logo and printing t-shirts, hoodies, and caps that bore his designs. I had no idea what to expect, but now I was committed, he said. When it came time to participate in the festival, Frode’s $400 investment paid off brilliantly. He sold 80% of his inventory at the show, even after doubling his friends and family prices. 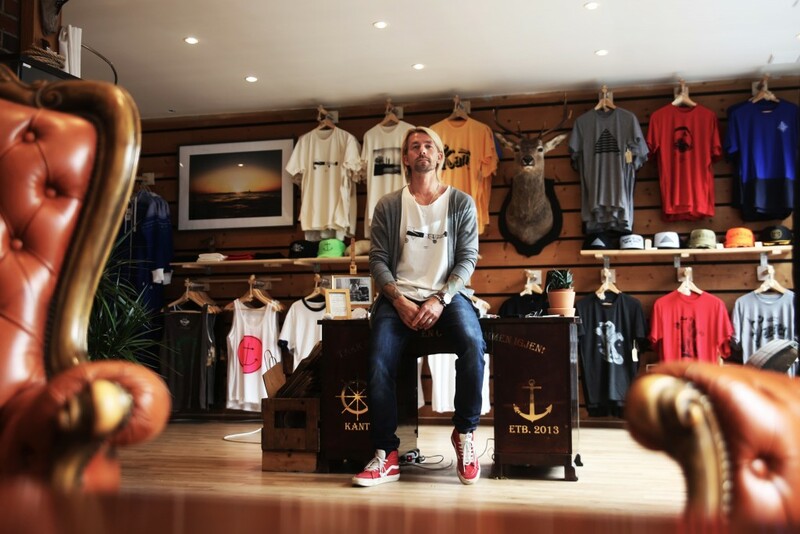 His success at the festival bolstered his confidence in the new brand, and he decided to continue his business online. As a one-man show, Goa created the first generation of the Kant website from scratch. He researched a number of e-commerce solutions, ultimately choosing to go with Ecwid. He explained his choice: For me, it is vital that I have full control of logistics and sales. A year later, he moved his site to WordPress.org and implemented a custom theme that seamlessly integrated his Ecwid store into Kant.no’s updated design. Facebook is a smart and real way to connect with people —for me it is really working! Marketing for Kant started locally, with news of the brand spreading primarily via word of mouth. Goa attended a few more festivals in his first year and began to more seriously pursue brand promotion on social media. To keep things fresh, he releases new designs on a monthly basis, printing them in small batches. He recommends social media advertising to all small businesses. I am very active on Instagram, both on my personal feed and the brand’s feed. These posts almost always result in direct sales when I post a picture of a new product. I believe that Facebook is also a smart and real way to connect with people —for me it is really working! he said. In late November 2014, the business was growing and Goa invested in a pop-up shop to promote additional holiday sales. He planned to operate the shop for six weeks and close it after the Christmas holiday, but it wasn’t to be. Sales went so well, and I had really great support from the landlords. Instead of closing the shop, they asked me to sign on for three more months—they gave me a great deal and I couldn’t say no, Frode explained. Those three months turned into six more months, and six months became a year. Goa has just signed a one-year lease to continue the shop’s operations. When asked if he had any advice for other business owners, Goa said, Make sure you have software that works and is reliable. I think it is key to have control of my stock at all times. In my case, I have an online shop and a physical shop, so I need a system that can handle both at the same time. The 2015 expansion of functionality between Ecwid and iZettle has been huge for Kant, allowing Frode to accept credit card payments via the iZettle mobile app in his shop or from his website, tracking all inventory in one place. When asked if he’s expanding his team, he said, Believe it or not, I’m still a one-man show. I keep the shop open part-time. I create the designs, silkscreen the prints, and package and ship my online orders. 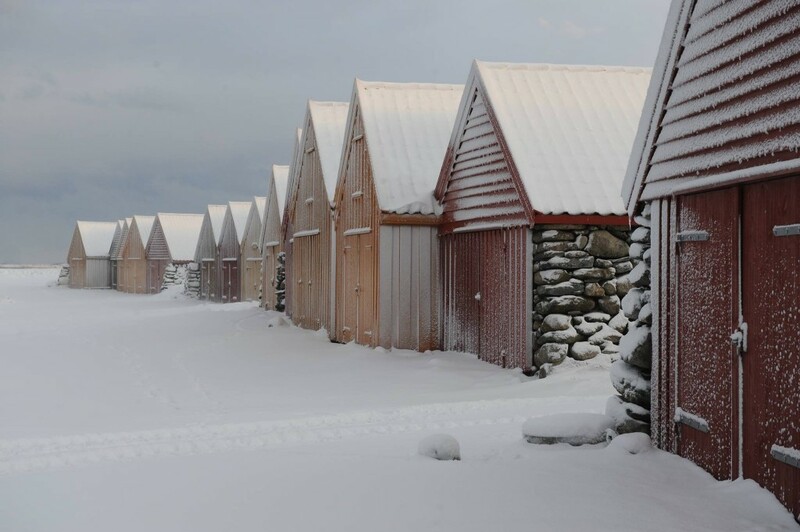 Kant has taken on a life of its own, with constant inspiration flowing from the natural beauty around me and the rich history of the Jæren region. To inspire online sales, Kant offers free shipping in Norway. It’s a proven tactic that Norwegian online shoppers love, but he still has worldwide distribution potential; just last month, he received his first order from New York. In spite of a national economy that has suffered through low oil prices, Kant’s 2015 holiday sales exceeded the previous year by over 20 percent. Sales were bolstered with support from the local newspaper Byas.no when they sponsored a Best In Business contest in October; Kant was a top ten finalist. After just three years in business, Kant was voted the second-best shop in the area by Byas.no readers. It was a virtual tie with another deeply established menswear brand. Kudos from the Ecwid team on this awesome achievement! Goa has big plans for the coming year. Kant just announced a new line of Merino wool sweaters, and unique footwear designs will be available soon. You can stay up to date on all things Kant by signing up for the newsletter.